Whether you are a professional guitar player or someone who hopes to start learning soon, the internet has a number of places for all things guitar. But often, you have to visit three or four different sites to find everything you need. Guitar lessons may be on one site, product reviews on another, and news somewhere completely different still. 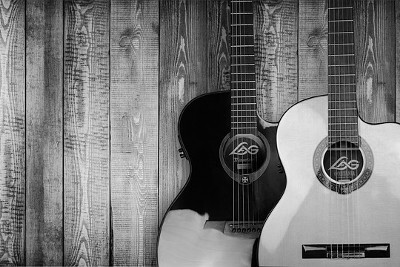 ForGuitar.com is a website that consolidates all those things in one place. Instead of wasting time trawling all over the internet, you can quickly dive into everything you ever wanted to know about the guitar right here. Are you looking for some good guitar lessons? We have a whole section dedicated to all sorts of lessons and learning styles, including our takes on some of the top online learn to play guitar programs and resources. Whether you’re looking to learn power tabs, are curious about a teaching website and their methodology, or perhaps you are completely new and not sure where to start, we have you covered. You’ll find all that information here, and score some great discounts along the way. We also offer many helpful hints on a number of guitar playing issues you might not know about. For example, the right way to hold a slide when playing slide guitar. Or the correct way to hold a pick. ForGuitar.com has a whole section on how to maintain and keep your guitar in great shape. It doesn’t matter if you need your fretting dressed, a bridge replaced or need to mend some cracks, you’ll find info on exactly what you need to make those repairs and how to go about them. Our site is also a great place to seek out some valuable tips and guides on how to keep your instrument in tip-top shape. It doesn’t matter if you’re looking for your first guitar or have to replace that amplifier you just blew, our experts give you their unbiased reviews and opinions on which products to invest in, and which to avoid. Don’t know which acoustic, electric or bass guitar to get? We can help you with your selection. Are you wondering which are the right guitar strings or pedals that will perfectly match your guitar type and play style? We have you covered there as well. ForGuitar.com has something for anyone who is interested in guitars and would like to learn more about what this instrument has to offer and how to get the most out of it.